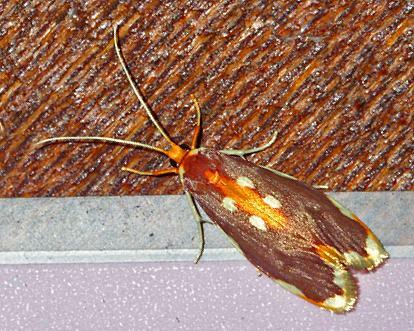 This adult moth has forewings which are rusty red with scalloped cream markings around the edges. The hindwings are plain orange. The wingspan is about 3 cms. Volume 38 (1913), p. 199.